It’s not that I get bored easily. I actually don’t. In fact, once I found my home style – a fusion of old world European elegance mixed with casual American lifestyle – I pretty much stuck to it. Still, since we moved into our new house two years ago, I’ve found I’m ready to rework every room. In reality, I’m just refining my style. When we first moved in, I simply duplicated most of my rooms from the way they were decorated in our old house. But now I find I’m going back to each space and fine tuning. In some cases, the results are transformative. And yet I’m not looking to spend a fortune on all new furniture. 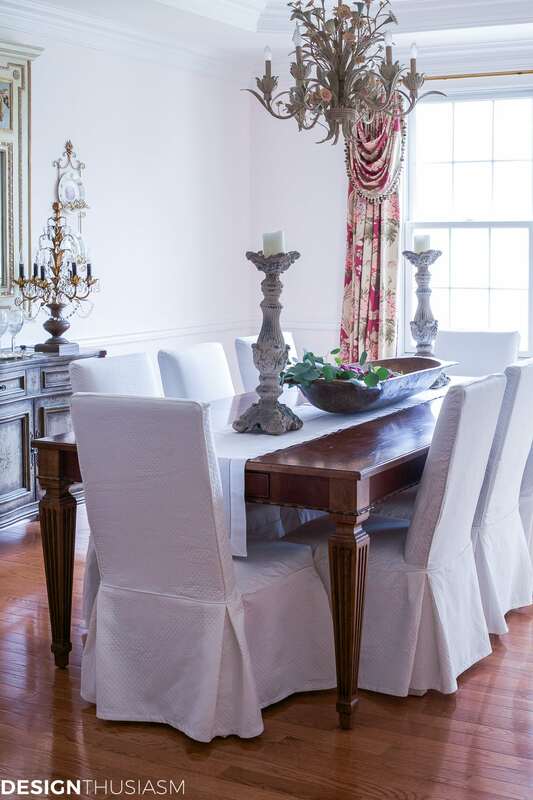 Here is how I completely transformed our dining room without replacing the furniture. Let’s start with a look back. The photo above shows how I decorated my dining room when we first moved in. 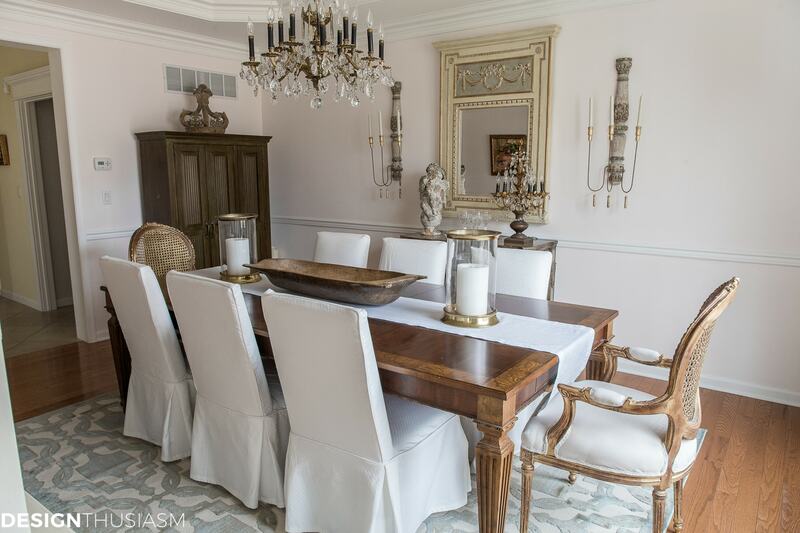 It was an exact replica of the dining room in our old house and the furniture fit fine in this slightly larger room. But the room did not benefit from the brilliant light we got in our old dining room and the florals here began to feel too prominent. 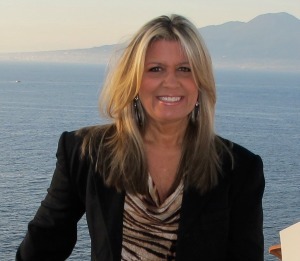 At the same time, my taste was becoming more focused and I wanted to honor my passion for antiques. Below is the (almost) finished product and I assure you, I did not replace any of the furniture! 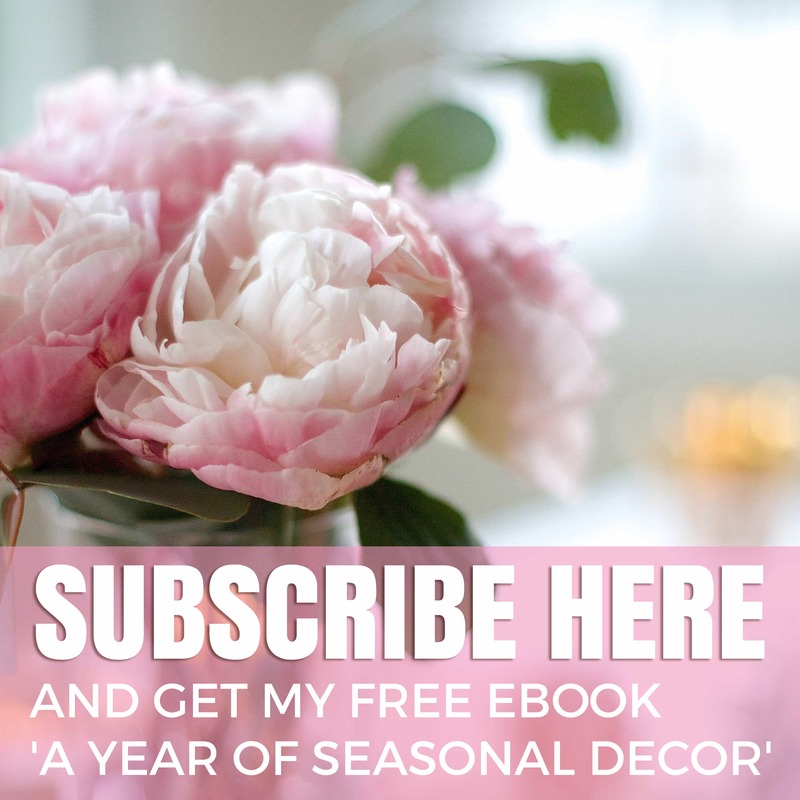 To underscore my assertion that my taste hasn’t changed, I’d like to point you to my post The 6 Defining Style Elements I Use In Every Room, written 2 years ago, in which I outlined exactly what defines my style. I’ve now finally realized that vision in this room, and you will notice almost everything I’ve changed coincides with what’s highlighted in that post. So, if I haven’t replaced any furniture, what have I changed to accomplish such a marked difference? While it was an ongoing process, I essentially approached this refresh in three separate phases. You can see the details of the first round in THIS POST or click the photo below, which shows that first stage. The most significant change at that point was to buy new white slipcovers for my parsons chairs. This was a very inexpensive fix for something that made a huge impact. Of course, if you don’t have the same chairs, my slipcovers won’t help you, but the idea of replacing the pattern and color with white, will. If you have dark wood chairs you can paint them. If you have upholstered chairs, you can re-cover them or find slipcovers that fit. 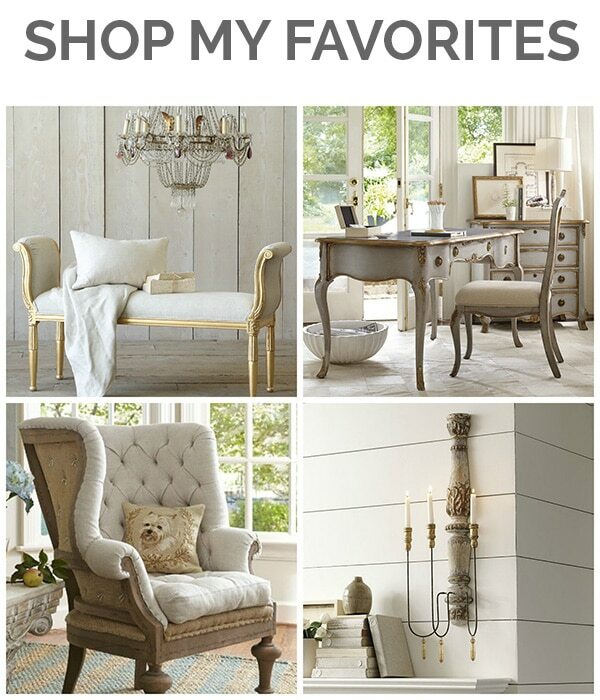 Or you can simply buy inexpensive new chairs, if that fits your budget. I’ve linked a similar chair in the resource section below. I also started working on the accessories at this early stage. I removed the faux florals from the table and brought the antique dough bowl in. I started playing with candlesticks and added the white linen table runner to the table. It was a good start that revealed the first signs of the dining room that would come to be. As the first batch of changes addressed quieting the decor a bit, the next few updates I did zeroed in on adding notes of character and elegance. 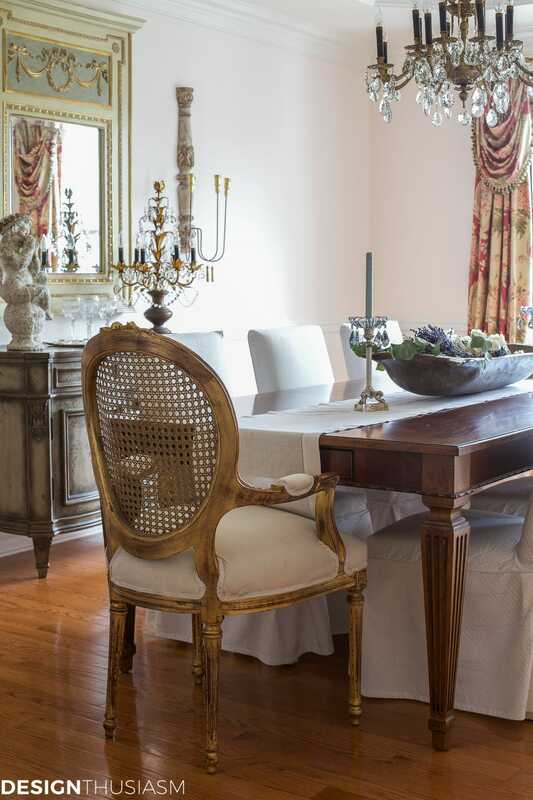 Almost everything I changed had to do with accessorizing, with the sole exception of the gorgeous gilt arm chairs. If you’re looking to save money, you don’t need to replace all your chairs. 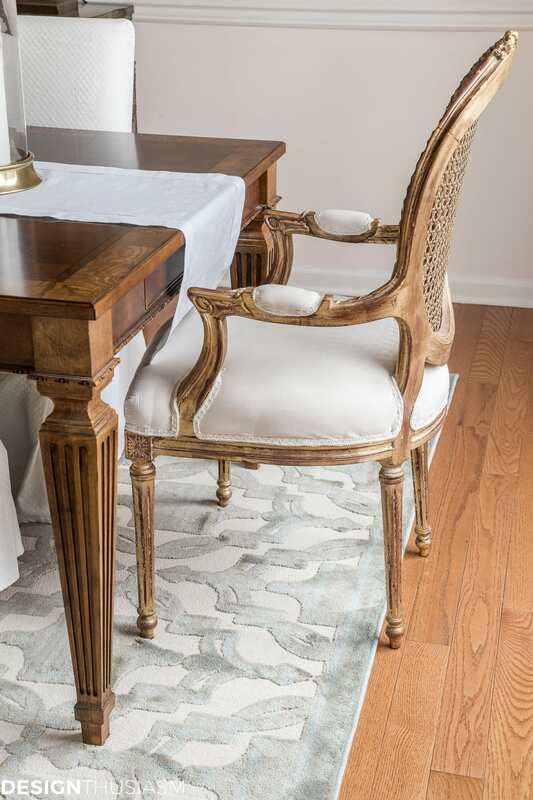 Using end chairs as an accessory to punctuate the space is a great way to make a beautiful statement with quality antiques, without breaking the bank. 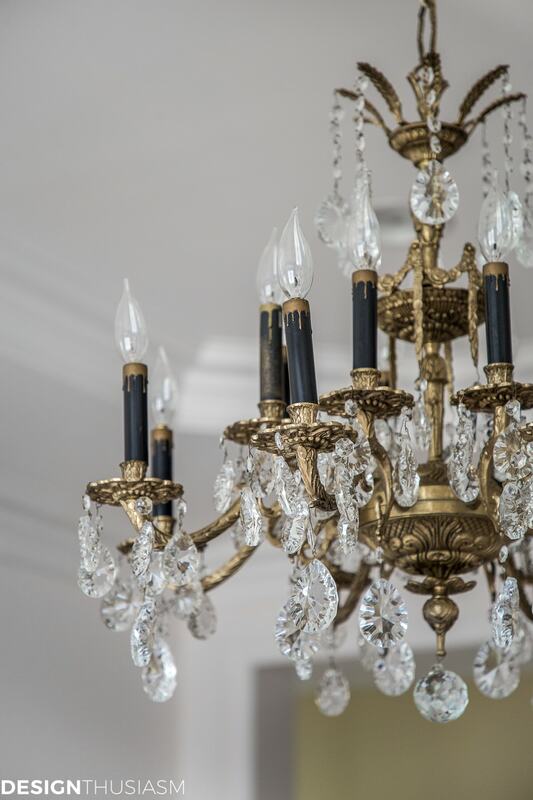 I also added the reproduction sconces and the antique crystal chandelier. 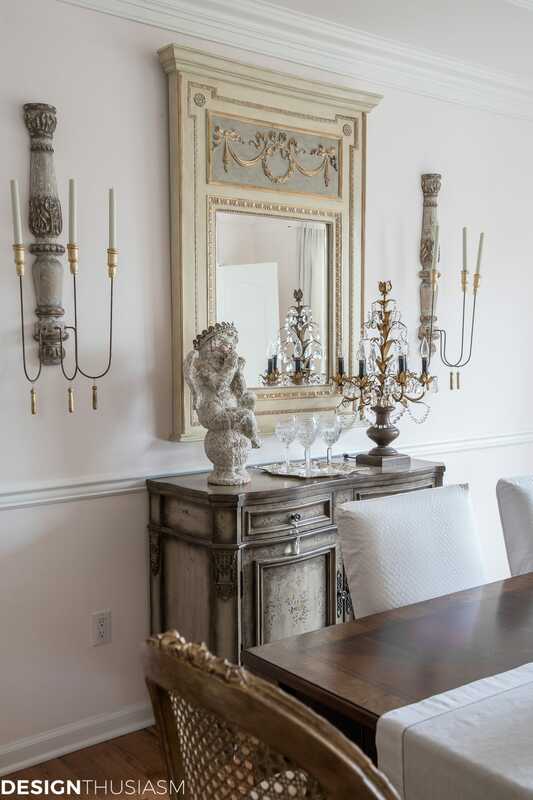 I feel these beautiful French pieces can now take center stage when displayed in a room with a simple classic backdrop. For the details on this second round of changes you can see THIS POST or click on the photo below. At this point the room was really starting to take shape, but it still needed some key elements to complete the transformation. The room sat like this for a few months, while I prepared for the final details. For me to realize my vision, I knew the floral drapes had to go. I still love the pattern but it did not fit with the direction I was headed. Instead I went with washed linen panels in a bisque color and used lovely vintage brass tie backs. This made an enormous difference in the now neutral room, allowing for the possibility of bringing in various accent colors that could easily be changed. The final unifying piece is the last one I added and serves as a lovely finishing touch. 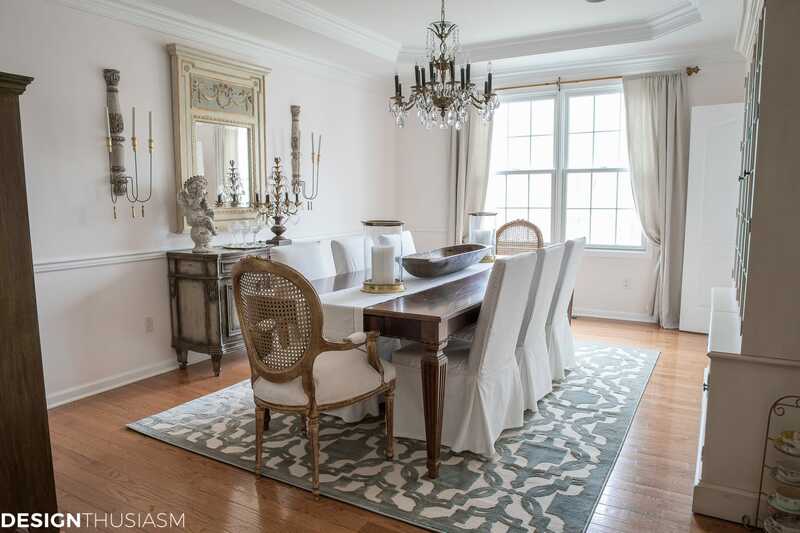 This stunning rug is from my sponsor RugsAmerica and pulls together the entire room, subtly mixing neutral beige with a hint of greyed-over-blue. The sculpted pattern is reminiscent of heraldic medallions, but with a modern spin it embodies my updated style. 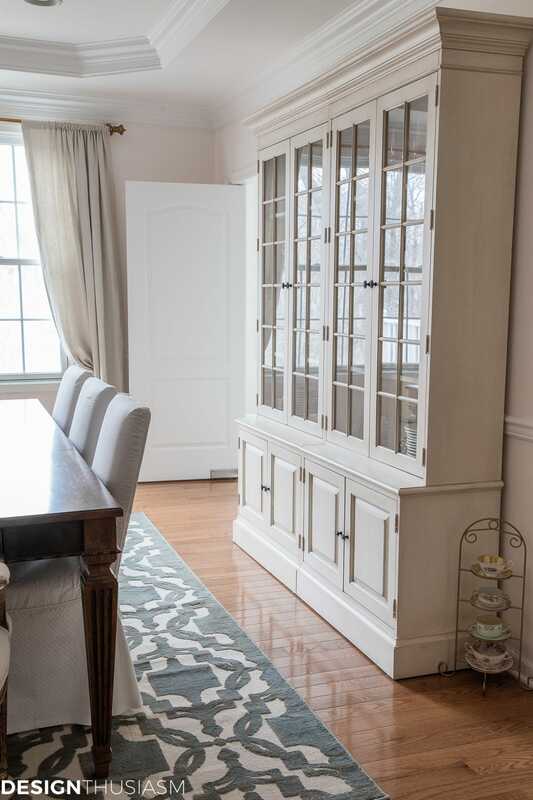 A quick glimpse of the other side of the room shows my creamy white china cabinet, which I re-styled to feature my neutral tableware, while I packed away the more colorful pieces behind the closed doors. As I hinted above, this transformed dining room is *almost* finished. Which means it’s not quite finished. Still to come: the pantry cabinet is way too dark for the space. I’ve wanted to try my hand at painting furniture for some time, and one day, you just may open a post and see I finally tackled my first painting project. 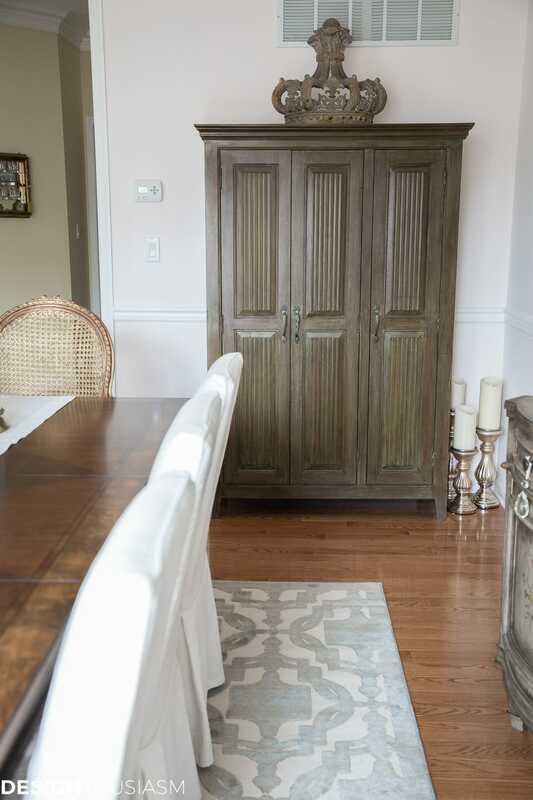 This pantry cabinet is the perfect place to start! I’d also like to paint the walls and finally give the blush pink a rest. 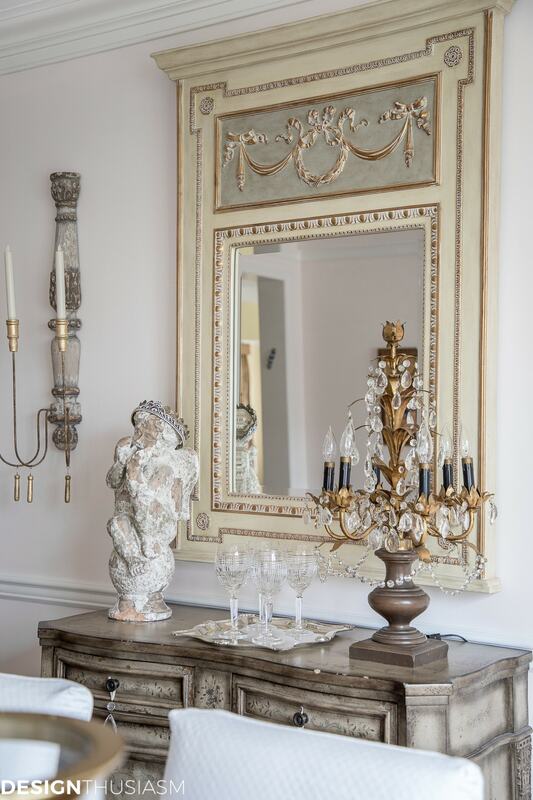 This entire project was inspired by one purchase, the crystal candelabra on the painted sideboard. That one little piece sums up my current style, and if I’m doing it right, by the time I’m done, it should be able to sit comfortably in any room in my home. 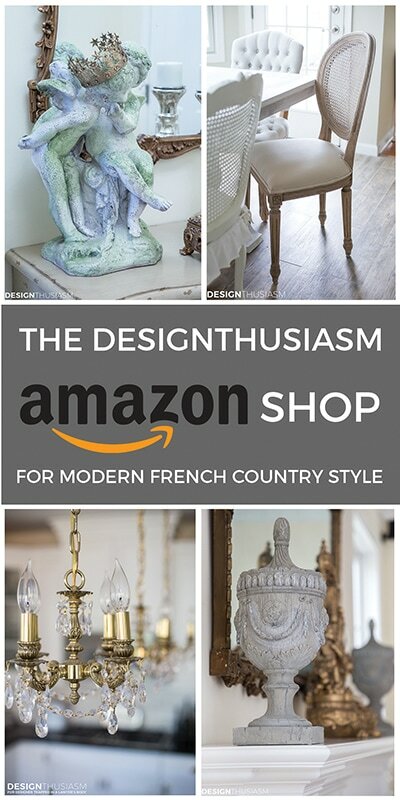 Interestingly, I did not buy it at the same time or from the same place as the crystal chandelier, but both speak to me in much the same way and comprise several of the style elements that define my look. I feel like I’ve finally got a firm handle on my home style and I’m delighted with how this room transformed, particularly without spending on replacing the furniture. 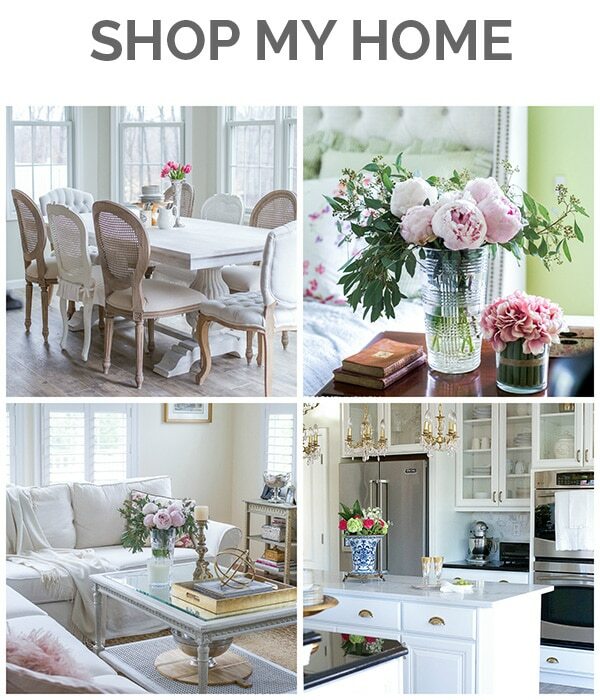 The table, chairs, china cabinet, sideboard, mirror and pantry cupboard are all exactly the same as before. This is precisely how I plan to approach the other rooms in my home, as I fine tune them to reflect my aesthetic, so stay tuned for more. Thank you so much for the kind words, Sharon! I know I will get to the cabinet. I usually procrastinate for a while with things like this and then one day just get up and decide to take it on! 😉 Hopefully soon!! This is a great post. I love that you reused the furniture to get such a different feel. Furniture shouldn’t be disposable. At the same time, it’s quite normal that tastes change over time–not just what’s trending but also based on our age. 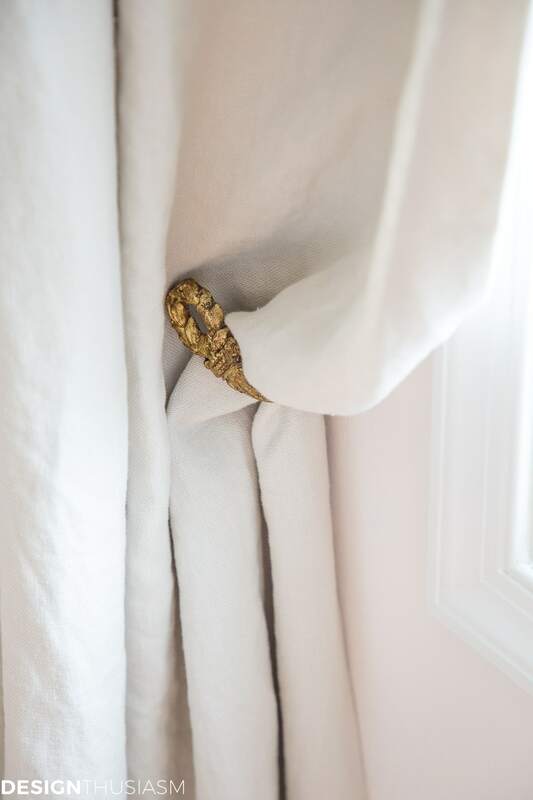 Changing slipcovers, drapes and paint is easy and reversible. Maybe some years down the road, the monochromatic look that is so zen and restful now (and believe me, my own house is all white slipcovers) will feel plain and blah and we’ll be integrating wild colors and designs. And that’s OK too, especially if we keep the same furniture! I couldn’t agree more. Thanks so much for visiting!! All flows together very well. I love it all. Where did you find the lovely crown? Thank you! I believe that was an eBay find. Oh my—-what a fabulous transformation!! Just stunning! Absolutely stunning! 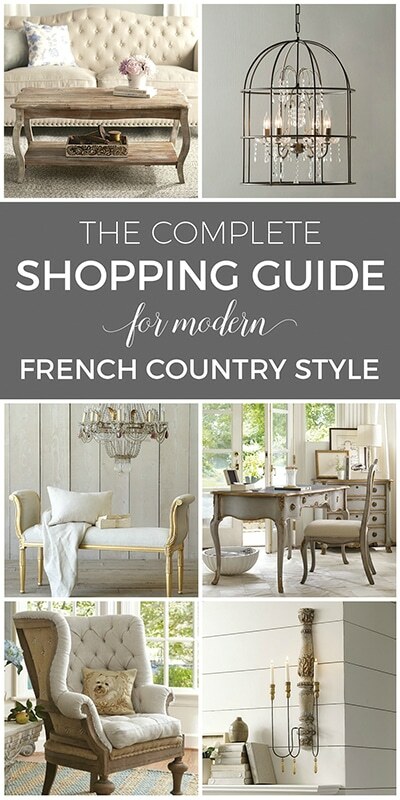 Love your mix of old world and french country. I too would love to see your dark cabinet chalk painted, maybe a linen color or pull that lovely color out of the panel at the top of your mirror? I always look forward to your posts, thank you so much for sharing your beautiful home with us. Lori I love the way the dining room is coming along. I too have been moving away from too much pattern and letting my eyes have a rest. Instead I am enjoying all of your accessories and beautiful pieces that can really shine now that the red is gone. Oh and that rug is fantastic!! 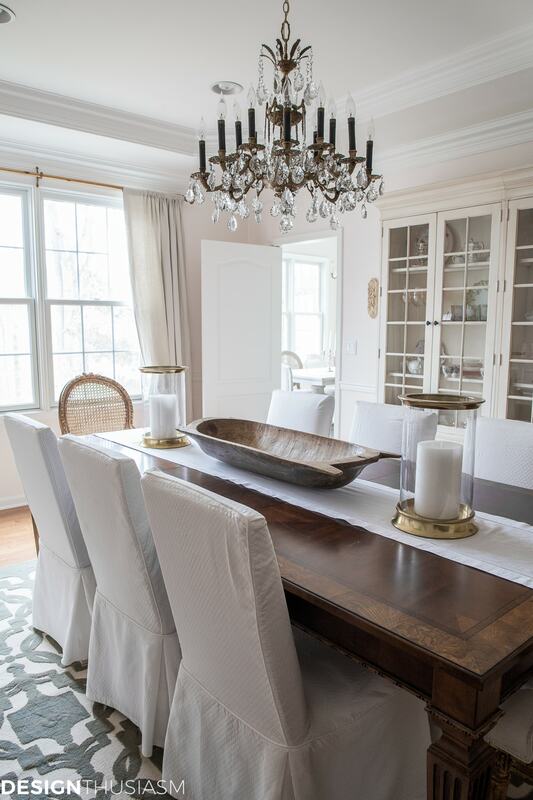 I absolutely love the understated elegance you’ve achieved in your dining room transformation. I’m pinning this for when we move into the new home that we have in the planning stages. We’re just waiting for the right lot to come along to build on. Thank you so much and good luck with your move!! 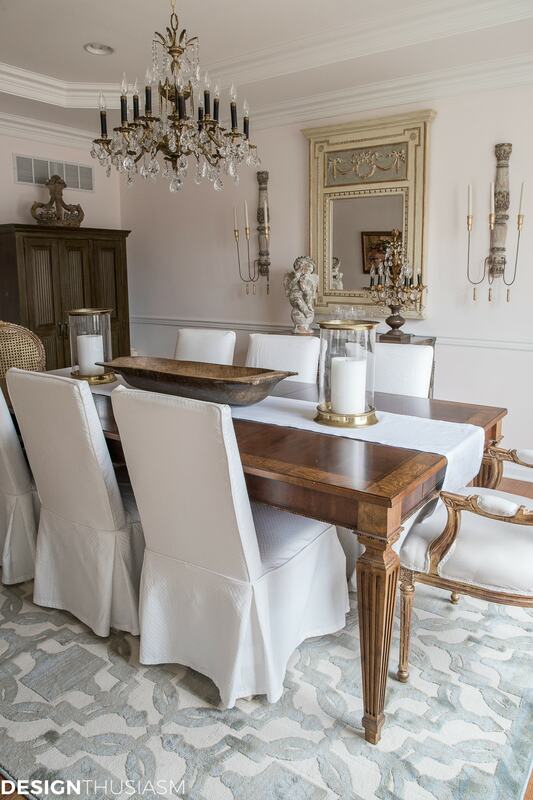 It’s amazing how you are able to do this dining room transformation without getting new furniture! It’s such a pretty and stylish space. Stopping by from the #HomeMattersParty linky. 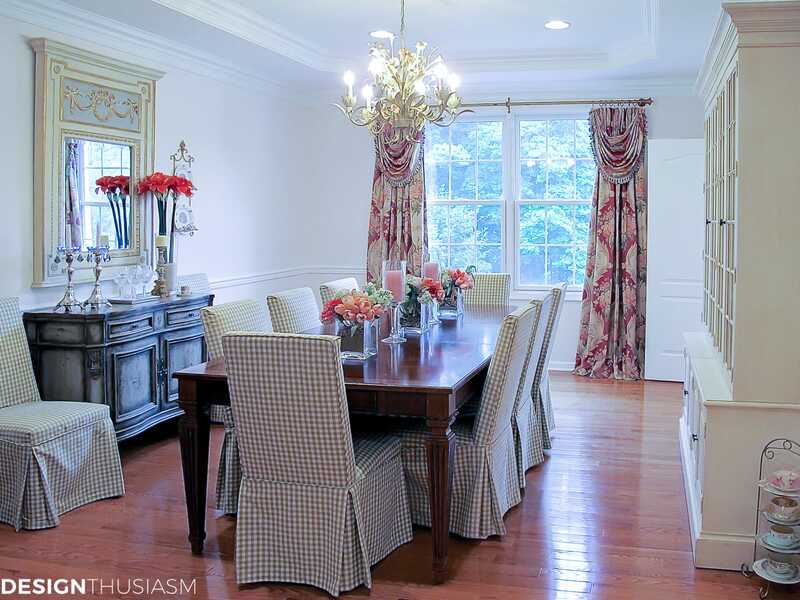 Your dining room is stunning. The subtle changes make such a difference. I love the neutral elegant look. I love the changes you have made. You have so many precious item in your dining room and now they can shine. Your chandelier with the black candle sticks is eye catching, as is the crown, angel statue, gorgeous mirror and chandelier turned table lamp. I love it all! Thanks you so much, Joanna!! I thought I saw the name for the antique chandelier sitting on your cabinet in the dining room but can’t seem to find it. I thought someone had turned a hanging chandelier into a table top lamp but obviously I was wrong. What is that beautiful light called?